Japanese pop-metal group (yes) Babymetal is getting its own scripted series at Warner Bros. Blue Ribbon Content digital studio. Japanese studio Amuse Inc. will also be producing through its Amuse USA arm. The live-action/animated hybrid show will follow a band of warriors (Babymetal) as they travel through the besieged world of metal music. Protagonists Su-metal, Yuimetal and Moametal are brought together by a lonely god named Kitsune to create a new musical genre. The short-form series is being developed for digital distribution. Blue Ribbon produces a number of projects for digital-first platforms, like “Now We’re Talking,” a send-up of the world of sports broadcasting produced with LeBron James‘ Uninterrupted, for Verizon’s Go90. Blue Ribbon is also creating a “Batman: The Animated Series” virtual reality experience for Mattel’s View-Master VR platform. 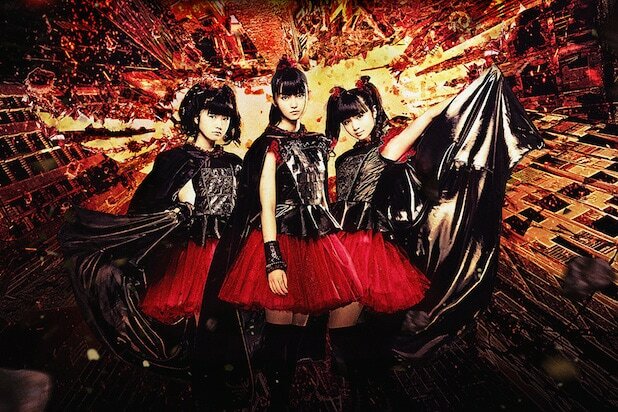 Babymetal, for those not familiar with the Japanese metal scene, is a band fronted by three Japanese teenage girls, blending pop vocals with metal instrumentals. A live-action/animation format works well for Babymetal, given that the band’s videos lean heavily on the combination of the real and the surreal. The group’s second album, “Metal Resistance,” made it into the top 40 of the Billboard 200, debuting at number 39. They’ll be accompanying the Red Hot Chili Peppers on a U.K. tour in December.